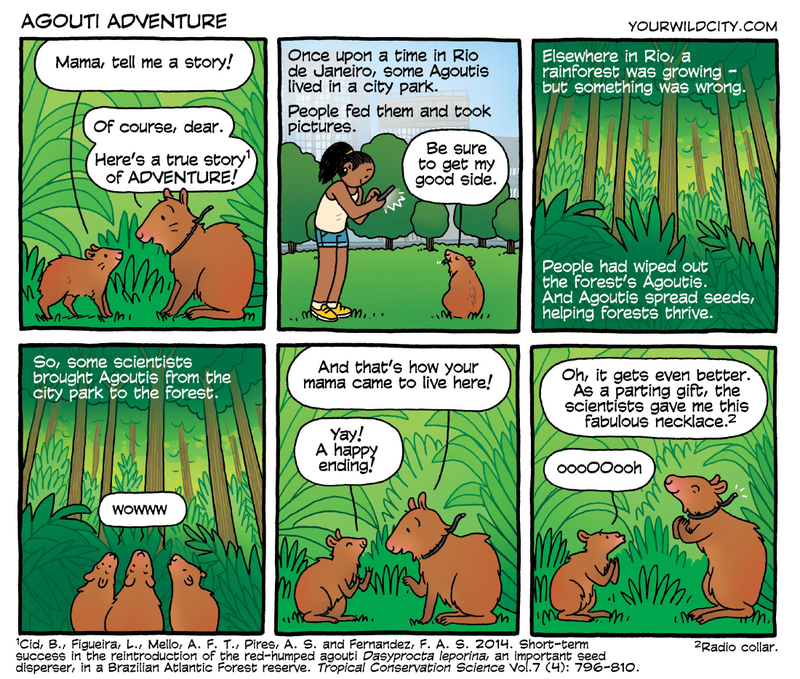 Here’s a story from Rio de Janeiro that features some big urban rodents. The Red-rumped Agouti lives in northeastern South America, where it helps to spread seeds (and poses for pictures). Many thanks to Caio Kenup of UFRJ for sharing this story with us. You can read the study online.